This Steak Recipe is practically guaranteed to become one of your favorite ways to prepare steak! It's so easy and the end results are simple yet so incredibly delicious. 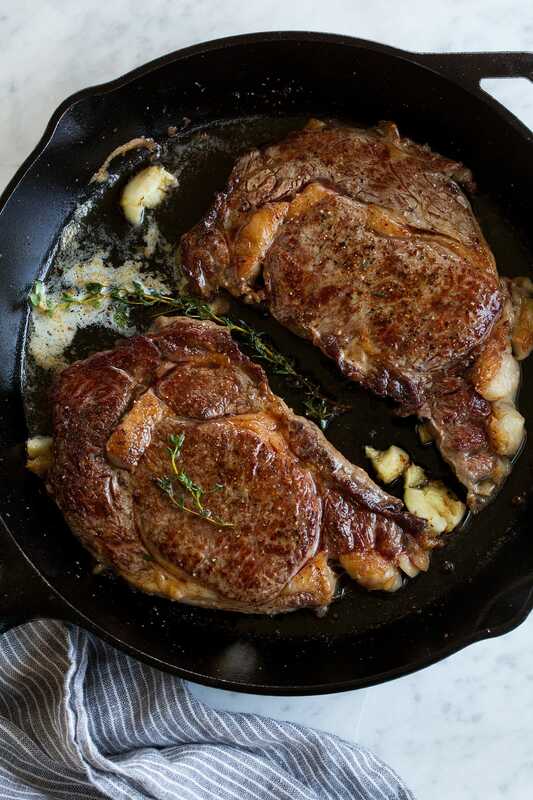 It doesn't take much when you start with a good steak, just a bit of butter and garlic (and thyme if you've got it) and you've got a steak people will remember. Out of just about any food steak was always one of the most intimidating things for me to cook. I don't know what it was maybe the high price tag and how they can easily be overcooked but with a few simple tips (as mentioned below) steak can be a breeze to cook. It's one of my husband and kids favorite foods so I've been trying to cook it once a month and this method has been my favorite lately. I just can't get enough of that crispy browned exterior and that rich garlicy butter!